A tough first round draw was the thorn in the side of the Aurora Barbarian men at Fletcher’s Field on Saturday, who were eliminated from McCormick Cup contention after an 83 – 12 loss to the Markham Irish. The Barbarians drew the toughest round one matchup in facing the third-seeded Irish, with Aurora ranking the lowest of the fourteen-team bracket. Both the Brantford Harlequins and Toronto Scottish, the first and second seeds in the bracket, earned byes to the division quarterfinals. Markham’s nine tries overwhelmed an Aurora defense that allowed just over thirty points-per-game in the regular season, while the Barbs managed just two tries of their own. The season rolls on for the Barbs in their second year in a row in the consolation bracket after the first round, facing Barrie RFC this Saturday. 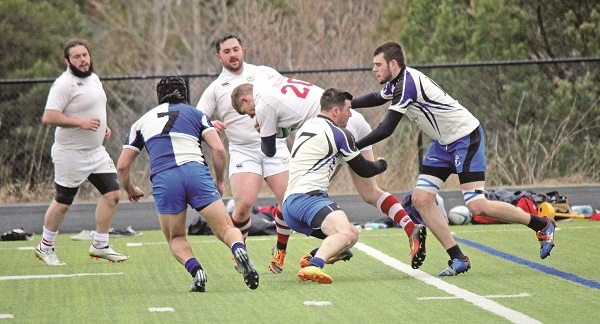 Barrie fell 32 – 10 to the Crusaders Rugby Club in the tournament’s opening round. Kickoff is set for 1 p.m. at Fletcher’s Field in Markham. The Barbs second squad completed their season atop the East Championship bracket among second Premiership clubs, boasting a final record of 7-2-0. The seconds squad finished as runners-up for the Gee Gage Cup in 2017, falling to the Toronto Scottish 37 – 17 in the championship.